As a Managing Director of PGV, Matt leads our National Operations and Technology Practice. 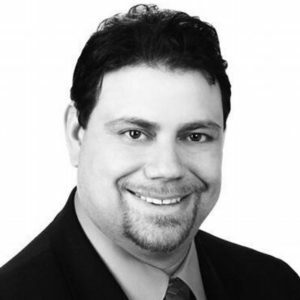 Matt is an experienced professional specializing in maximizing the value of an organizations recurring investments in operations and information technology. During the past 27 years, he has served as an advisor or interim executive for over 100 companies and has been involved with over 350 M&A transactions. In each engagement, Matt and his team have been called on to identify the root causes of an operational or technology process failure, develop performance remediation and quickly turn the company operations around. As a result of Matt’s engagements, his clients enjoy a more efficient operational organization by maximizing technology in an efficient and cost effective manner. During his professional career, Matt has had the opportunity to serve companies in a wide range of industries including Manufacturing, Distribution, Logistics, Healthcare, Pharmaceutical and Business /Technology Services. Matt also has significant experience working with Private Equity firms and their portfolio companies. His specific experience includes pre acquisition operations and technology assessments, platform acquisitions and roll ups, and leading the post-acquisition integration of technology work streams. Matt is a graduate of Hampshire College, is a member of the Institute of Management Consultants, and is Certified in the Governance of Enterprise Information Technology (CGEIT).